We have a systematic approach to our innovative automotive lighting systems long before they go into series production. They begin as ideas in the minds of our specialists. Dedicated project teams from the Design, Electronics and Technical Development units work together closely to devise your lighting system, using state-of-the-art engineering tools and calculation methods. Alight with enthusiasm, we focus on giving our customers the cutting edge. We develop and implement brilliant, pioneering lighting solutions for vehicle interiors and exteriors. Based on our creativity and expertise, we set new benchmarks in design and technology; we optimise development cycles and value-added processes in a flexible, swift and cost-efficient approach. 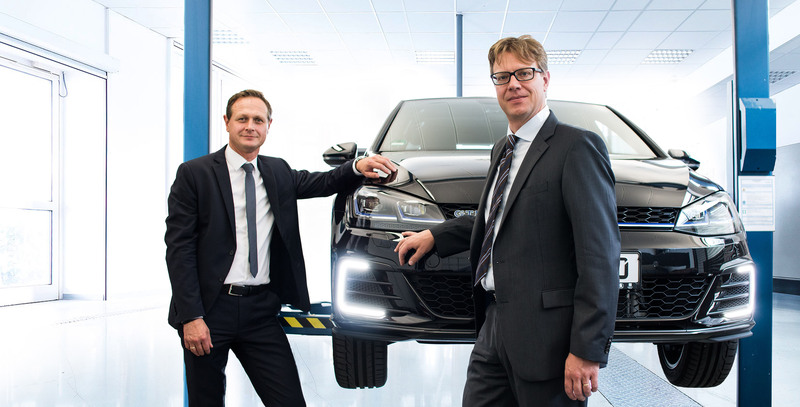 As a system developer of innovative automotive lighting systems, we are in high demand as a partner to leading international car makers and component suppliers. In our industry, qualities such as discretion and confidentiality are just as important as knowledge and expertise. Having worked with automobile companies and their component suppliers for many years, we are familiar with all aspects of the business. Our mission is to optimise our customers’ development process. We realise this with the help of experienced specialists from all disciplines, working hand in hand to put lighting systems into series production.